Adam Macleod was on the main road to the Skye Bridge when he was forced to swerve to avoid a potentially deadly smash. 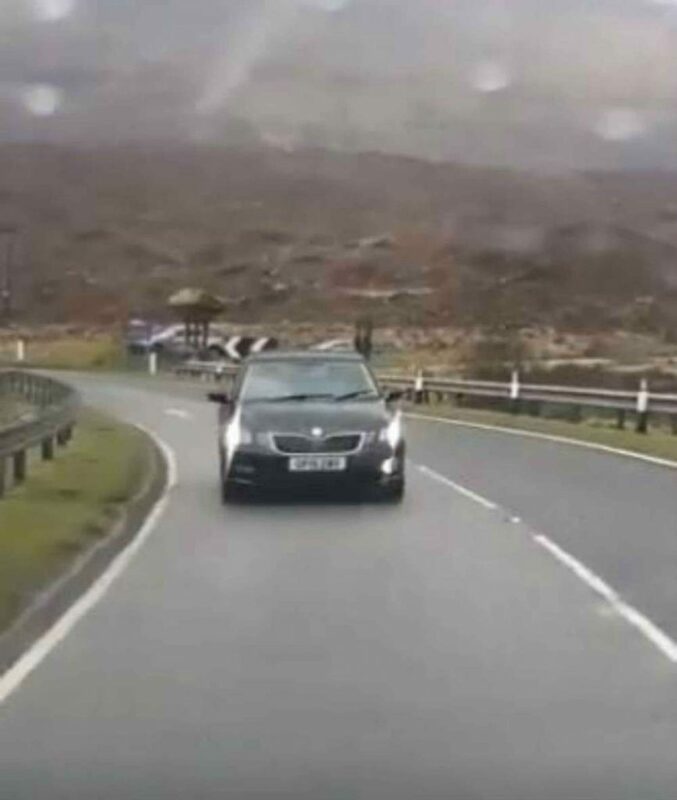 This comes as former crash survivor, Sharon Anslow, has started the ‘Keep Left’ campaign after she was injured in a car incident involving a tourist in Skye last year. The clip begins with Adam driving back home to Kyle of Lochalsh, Ross-Shire, on the A87 with his car radio playing in the background. He can be seen crossing a bridge and in the corner of the shot, the roof of a car can be seen coming towards him on his side of the road. As he comes round the corner, a black Skoda is seen directly in front of him. Luckily for civil servant Adam, there were no other cars on the right hand side of the road, so he was able to quickly swerve his car over to the other side. 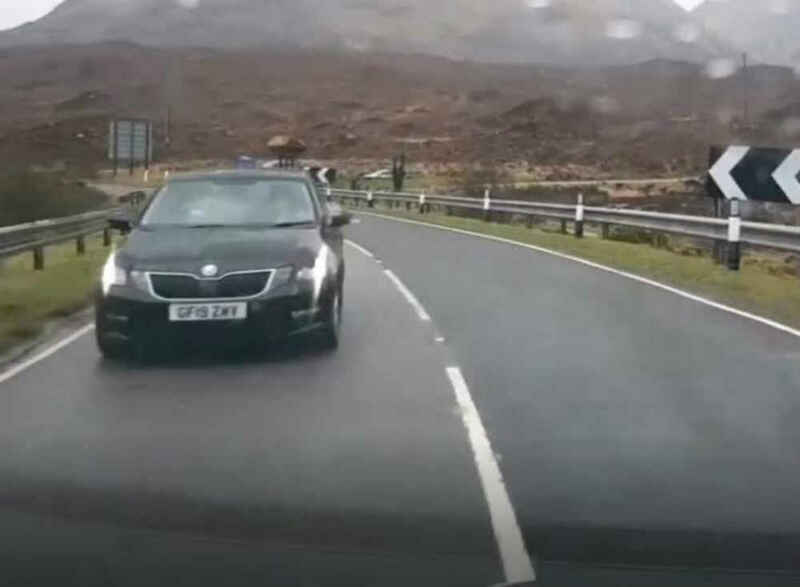 The 19-plate Skoda, which is thought to be a hire car, manages to pass without a collision as Adam gets himself back onto the left hand side of the road. He can be heard saying “f****** choob” just before the clip ends. Adam’s post has since gained more than 1,500 and 300 comments from shocked Facebook users. George MacInnes said: “If he swerved to avoid you at the same time as you did, then there would have been a crash with you on the wrong side of the road. He said: “My heart certainly jumped a beat, hit the brakes, but they didn’t move at all so I took the split second decision to swerve. He also explained how incidents like this are becoming more common in the area. He commented: “It’s the first time that I have witnessed it, but I know of incidents within a few hundred yards of this that have happened in the last year. and for hire car companies to place “keep left” stickers inside their vehicles. Sharon said this was a common problem across the Highlands that needed resolving. Speaking to a local broadcaster, she said: “”So many people contacted me after my accident saying: ‘It happened to us’. Even earlier that day of my accident it had happened to somebody else.